If you’re planning on tying the knot this spring, congrats!! One of the many details you’ll have to plan is the perfect hairstyle and makeup for your wonderful day. We’ve been inspired by some of the timeless looks that make brides look their best and last through the entire event. Sophisticated, simple and stylish, the chic low bun once again makes a debut down the aisle. This is a fabulous way to show off your dress while pairing it with a sweet comb or sprig of baby’s breath for the perfect finishing touch. This is a bride favorite! This elegant and modern look of a low, messy bun, braided and highlighted with accents such as flowers, pearls, and other bling, can be seen down the aisle of even the most famous brides. A beautiful way to interweave jewels, flowers, greenery, pearls, and brooches is with loose braids. This is a great hairstyle to play with since it’s so full and plump. You can even look to add some extensions and make them look perfectly natural! While this is a simple hairstyle, there’s no shortage of romance with this look. Leave a few loose strands to frame the face, braid part of the pony, or keep it modern and sleek. This is a chic look that promises to keep the dress as the focal point as you gracefully strut down the aisle. Your wedding day isn’t the time to experiment with a new look or new makeup colors. Keep it simple and elegant so that it reflects you. Our makeup artist can highlight your features, make sure that your makeup lasts through the whole day until the end of the reception, and brings out your natural beauty. 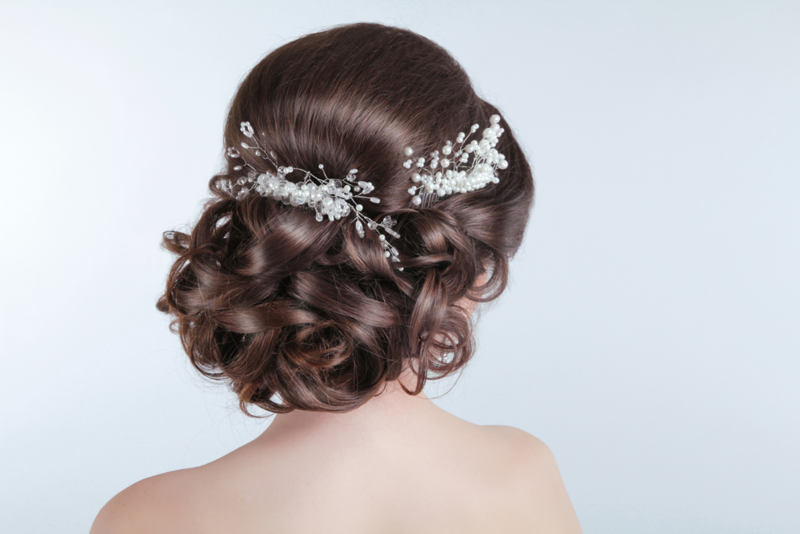 At Untangled Salon, our professional stylists are ready to help you create a memorable look for your wedding day. You can find us at 19924 Jetton Road, Suite 105 in Cornelius. To schedule an appointment, just give us a call at 704-895-9300 or send us an email at info@hairuntangled.com. Prefer to schedule an appointment yourself? Use our free mobile app. You can download it for free at the AppStore, on Google Play, or Amazon.